History of the Susan Lee Sanctuary - Wellesley Conservation Council, Inc. The Susan Lee Memorial Sanctuary located on the western end of Livingston Road was given to the Wellesley Conservation Council in 1964 by Lucy Lee Bennett in honor of her mother, Susan Welles Lee. Uncovering the lineage of the Lee family is a fascinating lesson in Wellesley history. 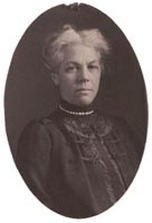 Susan Lee's mother was Isabella Pratt Hunnewell, daughter of Isabella Pratt Welles and her husband Horatio Hollis Hunnewell (HHH). In 1872, Isabella Welles' father John settled in Wellesley, then called West Needham, and bought back the family farm, “Morrill House,” at the corner of Washington Street and Pond Road that is still in existence today. Samuel Welles, Isabella's great grandfather, had originally bought the house and farm in 1763. HHH and Isabella built their beautiful estate with elaborate gardens on the shores of Lake Waban in 1852 and named it “ Wellesley ” in honor of Isabella's family. The Town of Wellesley, incorporated in 1881, was named in honor of the Hunnewells to recognize their generosity to the people of the town. In 1875, Isabella Pratt Hunnewell married Robert Gould Shaw, first cousin of Robert Gould Shaw, the Civil War commander of the Massachusetts Fifty-fourth Regiment. In 1907 and 1914, she purchased the property owned by Arthur Pope along the Charles River that included the present Livingston, Ridge Hill Farm and Winding River Roads and part of the 755 acre Ridge Hill Farm (the Baker Estate). This land was added to 68 acres previously purchased in 1897 and 1903. In 1919, Isabella divided this land around Sabrina Lake among her children, Susan, Arthur and Theodore. In the same year, she built a house at 151 Dover Road next to her daughter Susan's house which was built in 1914 at 261 Grove Street. 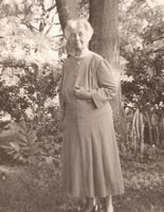 Isabella Pratt Hunnewell died in 1934. 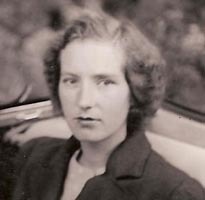 Susan Lee began wintering in Winter Park, Florida in the 1940's and parcels of the land along the newly established Livingston Road were sold for homes. This road was named for David Livingston, husband of Isabella Hunnewell Lee, eldest daughter of Susan Lee. In 1949, Janet and Bill Guernsey bought Mrs. Lee's house on Sabrina Lake and subsequently established the 20 acre Guernsey Sanctuary with part of their estate. Mrs. Lee died in 1951 and her second daughter, Lucy Lee Bennett, inherited much of the land at the end of Livingston Road. In 1964, Lucy Lee Bennett donated the two parcels that make up the 7.7 acre Susan Lee Memorial Sanctuary to the WCC. For directions to the Lee and Heyl Sanctuaries click here. For a map of the Lee and Heyl sanctuaries click here.